Walmart Canada is teaming up with U.S.-based company Instacart to bring some Canadians same-day grocery delivery. Instacart has previously partnered with Loblaws to offer delivery from some locations in Toronto and Vancouver. 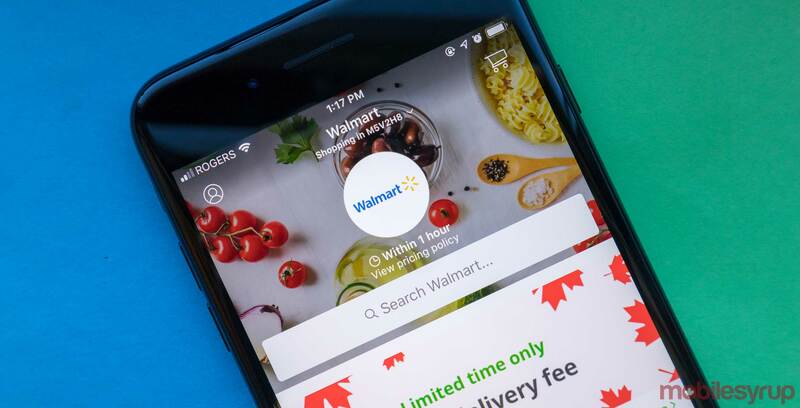 Starting today, Walmart Canada will be running a pilot program in the Greater Toronto Area, and on the 27th, Winnipeg will also get to try out the service. Placing an order with Instacart costs $7.99 CAD per delivery, unless you sign up for the $99-per-year Instacart Express membership. Currently, there’s a limited time deal that lowers the cost of delivery to $3.99 and a 14-day free trial for Instacart Express. The program’s goal is same-day delivery, and in some cases, users can get their groceries in as fast as an hour. Walmart Canada already offers some of its users delivery, but it takes more than a day. “Canadian families are busy, and saving time is as important as saving money. By teaming up with Instacart, we’re providing our customers with express home delivery of fresh, quality groceries at Walmart’s low prices every day in as little as an hour,” said Lee Tappenden, president and CEO of Walmart Canada, in a September 13th press release. Walmart rolled out grocery pick up to all of the Winnipeg locations earlier this year and now it’s bringing same-day delivery there as well. “Rollouts to additional markets will be based on customer engagement and adoption of the platform,” read a September 13th press release from Walmart Canada.